You are the authority on finance: You speak in numbers using words like “return on investment,” “profit,” “revenue,” and, of course “results.” In this third installment of our Management of Change Series, we explore change management through the eyes of the financial experts who prove the attainment of goals with reliable, empirical evidence … bottom line numbers. Many professionals are capable of creating and clearly defining goals, not the least of whom are the executives in your company, as we explored in our Management of Change – Executive. But as the financial wizard, your job is to establish clear, numerically defined, indicators of success which start with a distinct baseline. After all, to know where you are on the journey, you need to know where you have been. So, back to our initial question: How do you prove goal attainment once goals have been clearly established? It is best to use a defined, multi-step program. Establish a baseline – This is not about finding bottom line numbers, somewhere, as some sort of false starting point. Your baseline must include the numbers which clearly support the defined objectives. Define financial checkpoints – Change is a time intensive process and must therefore be managed as meticulously as the most important project, since implementing change is, in fact, a project. Your firm’s success is dependent upon this project. Financial objectives must be managed throughout the change process, through project status reports, so that there are no financial surprises at the end. Determine final success numbers – We certainly know that success isn’t always defined by dollars but also by numbers indicating things like percentage increases or decreases. But, and this is important, don’t be tied to a specific number, instead determine a tolerance range as your indicator of success, your ROI. Remember, that management of change is not just about processes but also about the people in your organization, and, as we all know, change in people is difficult. This speaks to user adoption, i.e. how your employees adopt, accept and embrace the changes being proposed. According to “The ‘harder’ side of change. The What, Why and Ho of change management’” The consequence of not managing the people side of change, i.e. employees and customers, has “tangible and real financial impact on the health of the organization and the project.” Therefore, set an acceptable level of success and celebrate when you’re within a good range of your numbers. Here is your softare toolbox for managing the above steps. Management of change for “finance types” is unquestionably about the numbers. But all good number crunchers know that numbers reflect all sorts of things: More than just bottom line profit/loss, percentage increase, or improved customer satisfaction numbers. Financial repercussions also must be measured for change that doesn’t occur to account for potential adverse effect of not making a necessary change. Therefore, numbers have to be analyzed reflecting the “opportunity and efficiency costs of NOT making the change both of which also directly impact ROI” as we discussed in our introductory piece to this series. The financial side of the management of change is really where cold numbers meet the warmth of the human ability to accept and adapt to change. 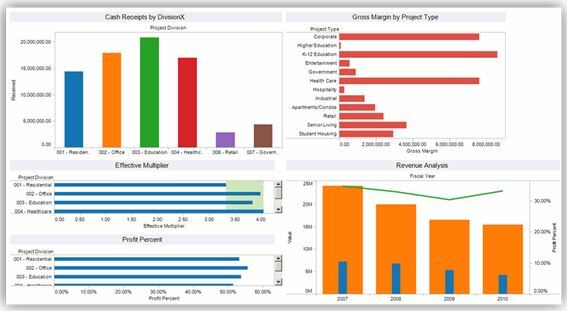 The purpose of this piece is not to immerse you in ROI calculations, number projections, or columns of dollars – all of which you’re thoroughly aware – but, instead, to ensure that all involved in the change management process are aware of the steps to proving the financial effect of change as well as to speak to the financial ramifications NOT making changes. Those numeric bottom line steps are the solid evidence of change management success. Our next installment features project managing your change. For many of us, the mere mention of cash basis is not unlike the old “fingernails on a chalkboard” – not something we want to hear. However, cash basis accounting need not be something that is left only to your CPA. Your Deltek Vision system can be set to easily track your transactions and financials on both an accrual basis and on a cash basis with minimal effort. Cash basis accounting is the process of recognizing revenue and expense at the time that you actually receive and disburse cash in your accounting system. Accrual basis accounting, on the other hand, recognizes revenue when you produce invoices (creating accounts receivable) and recognizes expense when you enter vendor invoices (creating accounts payable). For firms utilizing Vision’s Revenue Generation feature, revenue can be generated when time and expense is posted to the system – prior to invoicing the client. Most firms that we consult for maintain their day-to-day books on an accrual basis and leave cash basis for their CPA to calculate at year-end for filing of tax returns. How and when should I get started with cash basis accounting? To start using cash basis accounting in Vision, you will need to get with your CPA and make a plan. It is generally best to enable cash basis at the beginning of your fiscal year, however, it can be enabled at any time. You will also need to get copies of your year-end accrual and cash-basis financials from your CPA to ensure that your beginning balances for both methods are correct in Vision. Most firms get accrual based closing entries from their CPA, but may not be getting cash-based closing entries. Talk with your CPA and setup a time to bring your Vision accounting system up to date as of your most recent fiscal year end. Many options are available for cash-basis reporting regarding timesheet postings and payroll. Ask your Full Sail Partners Consultant when you are ready to explore these options, including the use of a Payroll Payable liability account as opposed to your Job Cost Variance expense account. Has your firm implemented cash-basis accounting? Leave a comment and let us know your experience. Be sure to check out other articles written by Rick Childs. Deltek Vision’s billing system is very versatile, allowing you to present many different billing formats for your clients without having to create different invoice designs. This is accomplished by using Vision’s Project Billing Terms. By using billing terms you can produce an invoice for your clients that bills Fixed Fee, % Complete against a Fee, Hourly, Consultant and Expense billing, all on a single invoice. A drawback to this “mixed billing” formatting in Vision is that it produces a lengthy invoice with individual billing sections for each billing type. The fee billing phases can be combined into a single billing block, but each T&M phase must be billed separately. By using this new invoice design, an invoice that might have been 2-5 pages long can now be presented to the client on a single page. Additionally, Billing Backup displaying the details for the time and materials phases can be added to the invoice by selecting that option in the billing terms, as normal. One other feature that is included with this invoice design is the ability to present the Fee and Labor Phases in the block format above, while displaying Consultant and Reimbursable Expense charges in their traditional sections following the Fee/Labor billing block. This is accomplished by the use of custom fields in the project info center which allow for individual selections for Consultant Charges, Reimbursable Expenses and the option to display or suppress the “Remaining” column above. View the video for a demonstration of this flexible new invoice design or contact your Full Sail Partners representative. Your clients will love it and your invoices will be easier to read. Everyone is talking about “Going Green” these days but like the weather, who really does anything about it? One way to Go Green using Vision is to take advantage of Vision’s ability to email invoices to clients. This process can save your company time and money while saving the planet! Once you get your drafts back from the Project Managers, go into Interactive Billing and make your adjustments for held time, changes in percent complete for billing fees, writing-off expenses, etc. Preview your invoices to make sure that each is ready to send to the client, but do not “Accept” the invoice at this point. Make sure your invoice template includes images from your letterhead so that the emailed invoice will look like the one that you would mail. Adding images to invoices is really not very difficult and is definitely worth the effort. You can have multiple invoice templates – one for printing on letterhead, one for emailing and one for draft invoices, for example. Once the invoices are ready for production, go into Batch Billing, select to print for Active Projects, select “Final Run” as the run type and set to use Billing Terms for AR, Backup, etc. This will produce the invoices according to each project’s billing terms. In the Invoice Template field, select your Email Invoice Template, which includes images discussed above. Then, select to email the invoices to the Billing Contact. Try this with a small group of invoices to start until you get the hang of it. Then expand to include all your invoices. This method not only saves you time and money (printing and mailing costs) in producing final invoices, but it also gets your invoice to your client sooner which can reduce your cash cycle days. To personalize your invoicing, think about setting up user ID’s tied to your project managers. This will allow you to send the invoices and have it appear to the client that the project manager is the one that sent the invoice. Add additional email addresses where clients need to have the invoice delivered to multiple recipients. Create email templates to personalize the email, give the client additional information and to save time when producing the emails. Give “Green Invoicing” a try. Save time, money and the planet! The timing of when you recognize revenue for your business can be influenced by a number of factors. In normal day-to-day business, most firms use a revenue generation model that recognizes revenue on an accrual basis – revenue hits the books and project reporting when clients are billed for services rendered. For tax purposes, revenue is not generally recognized until the client pays for the services rendered (cash-basis accounting). In addition to standard accrual and cash basis recognition of revenue, many firms are interested in recognizing revenue at the time services are performed. That revenue is then tracked on the project and financial statement as either unbilled or billed revenue. This article will focus on those revenue methods that recognize the value of your qualified Work In Progress (WIP), as unbilled revenue. Additionally, the methods described, will allow unbilled revenue to be reported on project reports and on your financial statements. A word of caution! Before changing your method of revenue recognition, you should meet with your tax professional to discuss the requirements for your firm and discuss industry standard revenue recognition methods to determine right method for your firm. Also, you will want to meet with the owners of the firm, as well as, the project and divisional managers to discuss their requirements for financial and project reporting in regards to recognizing unbilled revenue. The unbilled services account will carry the job-to-date unbilled revenue amount for your projects. The balance in this account will be carried over from one fiscal year to the next. The unbilled revenue account will carry the year-to-date unbilled revenue amount for your projects and the balance will be cleared to retained earnings at the end of each fiscal year. At all times you should be able to balance the detail on your projects to the balances in your GL accounts. This is called file reconciliation and it is very important that you reconcile these balances on an on-going basis. When performed properly, revenue generation will never cause a file reconciliation issue. Note: the Revenue Generation Method is used to calculate Total Revenue. Billed Revenue is then subtracted from Total Revenue to calculate Unbilled Revenue. To determine which revenue method to use, this decision should be made on a project by project and phase by phase basis. You will only want to recognize revenue on those projects and phases where you expect to be able to bill and collect on your work effort. Also, you may need to set limits on your revenue generation methods so that revenue is not calculated above and beyond your contractual limits with the client. In some cases, Method W might be used on one or more phases in a project and Method B is used on other phases within the same project. Additionally, the method used may need to be changed as a project reaches a fully billed status. We recommend starting with a small sample of projects, testing your revenue generation methods, and procedures on these projects before expanding to all billable projects. Keep in mind that you can use Method “B” on some projects, which will keep them on an “Accrual” basis where revenue = billed. Part of the management of Revenue Generation is the creation of good reports to check your “baseline” prior to generating revenue. Then check the reports again after generation of revenue and after billing. A report should be created showing the Contract Amount, Billed Revenue, Unbilled Revenue and Total Revenue at a minimum. This report can be run at the project level to verify overall amounts and/or at the phase level to verify individual phase level amounts. As mentioned above, Revenue Generation should be run following billing and the unbilled revenue. The remaining unbilled on reports should be compared to the general ledger balance (in the Unbilled Services asset account) and to unbilled detail and summary reports. If there are any projects where the unbilled amount does not seem right, run a project detail report to see all individual transactions and billing statuses to determine where the discrepancy might be. One action that might cause unbilled to be different than expected would be where you process a fee based invoice for less than the unbilled amount of labor and do not put any of the labor on hold prior to billing. In this type of situation, you might bill $5,000 on $6,000 worth of labor and expect there to be $1,000 of WIP remaining. However, if you processed the invoice without putting any of the labor on hold first, then all $6,000 of labor would be cleared as having been billed against the $5,000 fee and you would not have any WIP remaining. Another item to keep in mind is that the billing process does not have any effect on total revenue. 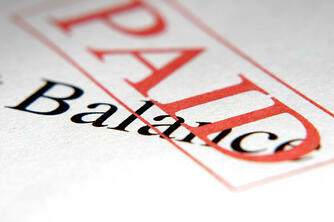 The process of billing simply moves revenue from Unbilled to Billed. When using Revenue Generation, revenue is only generated when Revenue Generation is run, not at time of billing. To learn more about revenue recognition, join our webinar as we discuss the 9 key points to keep in mind regarding Revenue Generation.